Careful guys, there is an update for the brand new P8000 phone out there which semi-bricks your phone. After this warning, it might already be too late as you might have just flashed the update like I did. That way the phone got stuck in a boot loop and you are litterally stuck for a while. The problem was confirmed by Elephone theirselves, but that doesn’t make it any better. To fix the error, you have to reflash the telephone, which is a pretty strange procedure compared to what I’m used to due to Cyanogenmod. You need the drivers for a MT65xx Android Phone and their flashing tool. But to flash the phone itself you have to make sure it’s powered off. 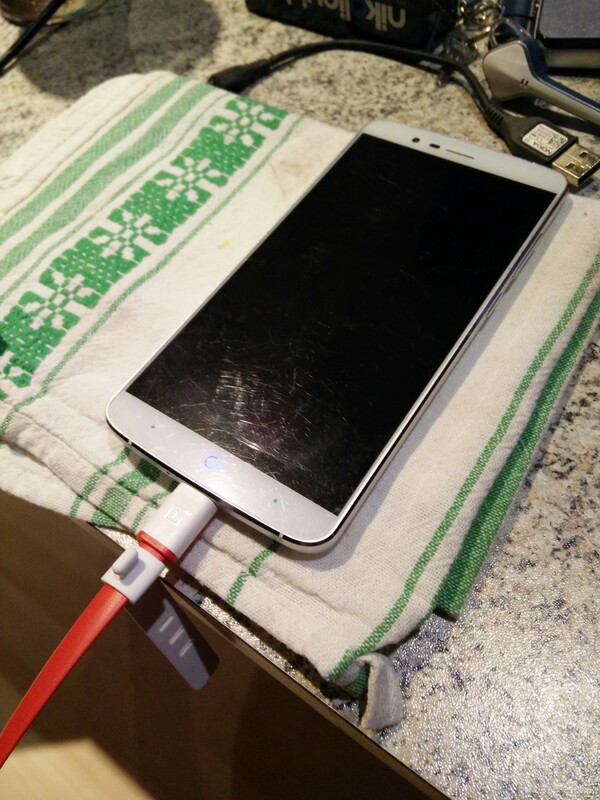 Yeah, that’s strange, but a phone hanging in a bootloop won’t power off that easily as it ignores the power button. In my case, I managed to get into an ADB Shell and issued the command ‘reboot -p’ which powers the phone down. I am stuck with the same issue. I am a newbie here. Could you please help me with the steps to follow and links to download tools from. Such things aren’t explained in a minute. It’s usually a bit more complicated.